PinkMirror’s Photo Editor Will Give You The Pictures You’ve Dreamed Of. Have you ever struggled to take the ultimate selfie for your social media profile picture? Or do you have a collection of wedding photographs that haven’t quite pictured you in the light that you wanted? 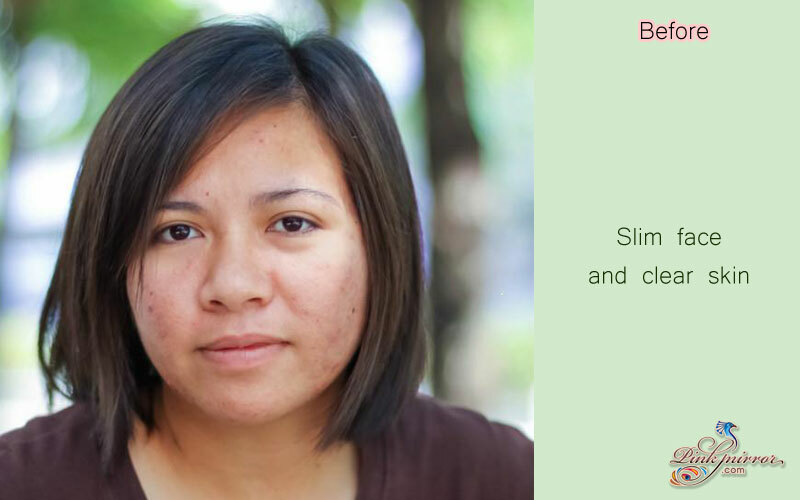 Believe It or not, achieving your desired look is simple and affordable. You don’t need to spend thousands on plastic surgery, nor do you need to be an expert with Photoshop. 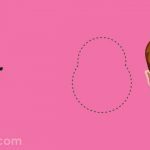 Just a few simple tweaks with PinkMirror’s photo editing program can help you achieve your perfect photo. The answer is anything that you want It to. 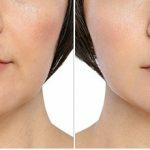 You might think that your nose is too long, or maybe your chin doesn’t have the shape you wish it did or your cheeks are too big. Perhaps you want to get rid of those noticeable blemishes or acne scars that are knocking your self-esteem. PinkMirror’s photo editor is literally able to modify your face just in the right amount. Anything that you consider out of shape or place can be tweaked, molded or even removed. The best part is, in case you are not sure how much tweaking is not too much, let PinkMirror choose it for you. 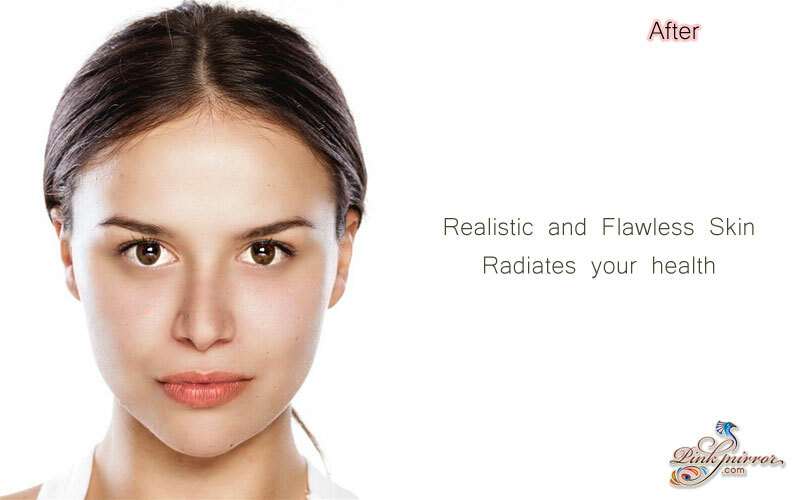 PinkMirror has trained to understand human beauty and automatically choose what is best for you. Since we only ever see ourselves in the mirror, we often are unhappy with how we appear in photos. Our imperfections are highlighted to us and any asymmetries become glaringly obvious. Your nose often tends to define your face. It’s In the centre and can sometimes look to big or wide. 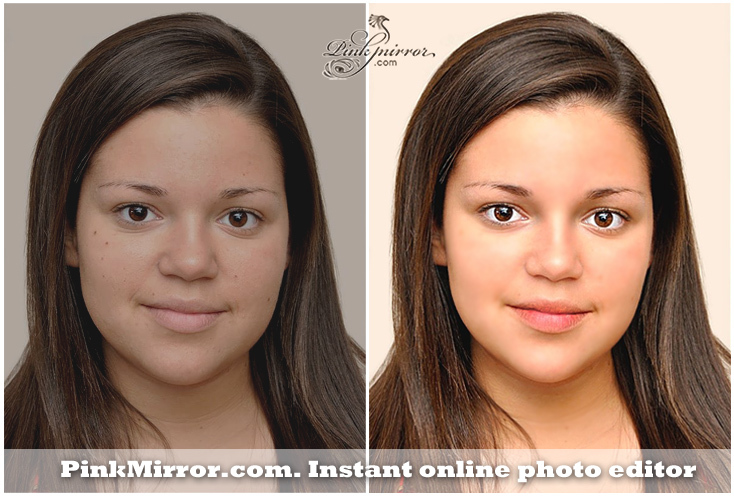 PinkMirror helps you to reshape your nose, taking years off your Images. 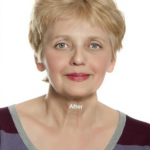 You can also soften a harsh jaw line by sculpting your chin or by lifting it with our program. Our editor also enables you to eliminate pudginess from your cheeks that may have resulted from weight gain. Eyes tend to be a sticking point for many people. PinkMirror lets you move them closer together or further apart, and you can even resize them. 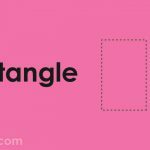 Take the image above for example. The original showcases a smiling lady who has been dulled due to the poor brightness offered by her camera phone. With PinkMirror, the photo can be brightened effortlessly without overdoing it, and toned subtly as to bring out all of her best features. Our camera phones aren’t always able to give us the contrast and brightness we want, but PinkMirror’s editor makes that a non-issue. Perhaps your teeth are letting you down – we all want ours to be sparkling while like a move star’s. 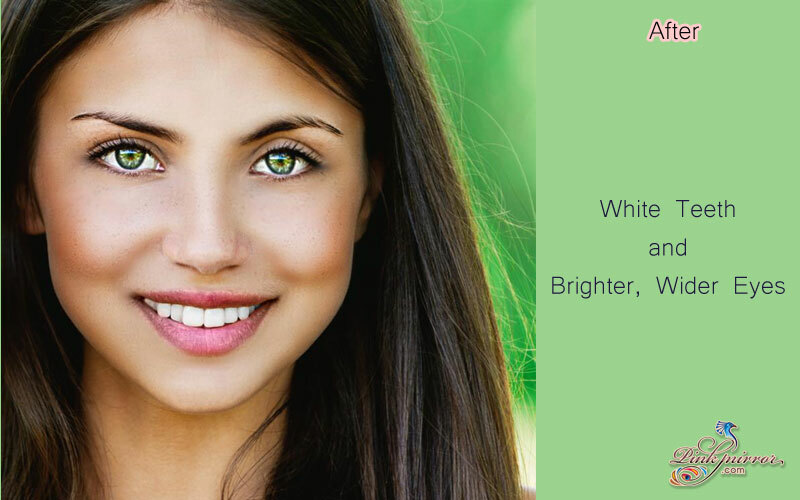 Now you can do that with our teeth-whitening editor. 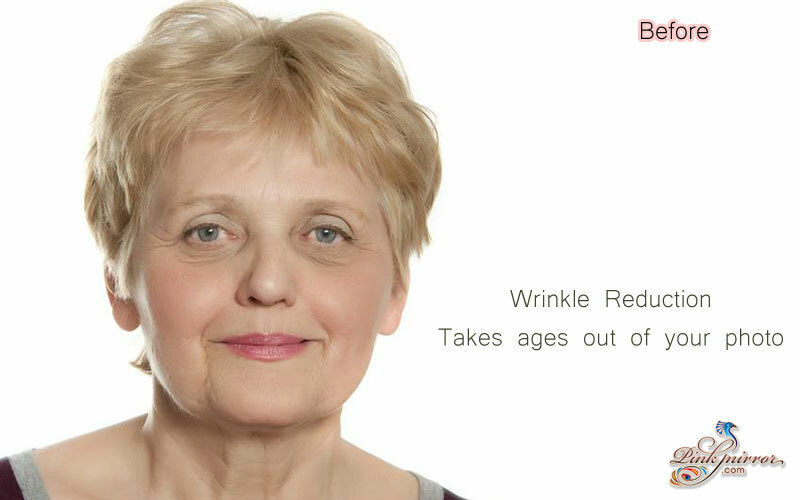 It’s also possible to give your skin that gorgeous glow and eliminate any red eye that’s present in your photos. The image below demonstrates the potential of PinkMirror in these departments. It’s incredible how much more attractive you can make yourself look with just some minor retouching. Everyone hopes they can reduce the effects of ageing, but there’s only so much you can do However, with some nifty editing, smoothing out wrinkles and lessening the effects of crow’s feet is easy. Why spend a fortune on products that may or may not work, when you can use software that does it at a fraction of the price. Wanting to be more photogenic is a natural feeling. 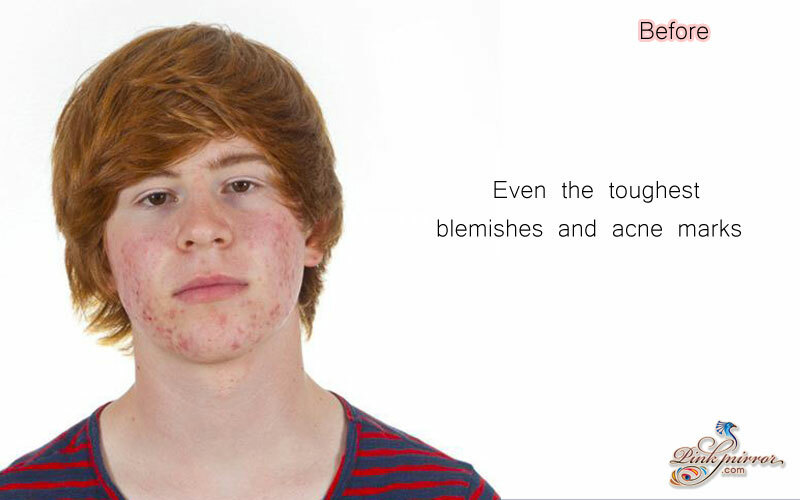 Those acne scars, blemishes or freckles can have big physical and psychological impacts. But it doesn’t have to be that way, especially in the age of digital technology. 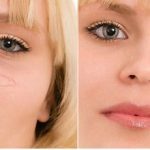 The capabilities we now have are endless, so why shouldn’t you use computers to enhance your Image, especially when it is so easy to do so? It’s evident that we are worried by our imperfections as we spend so much time trying to get rid of them. But while you can go on looking for a physical cure for them, you don’t have to suffer with their consequences for a minute longer. 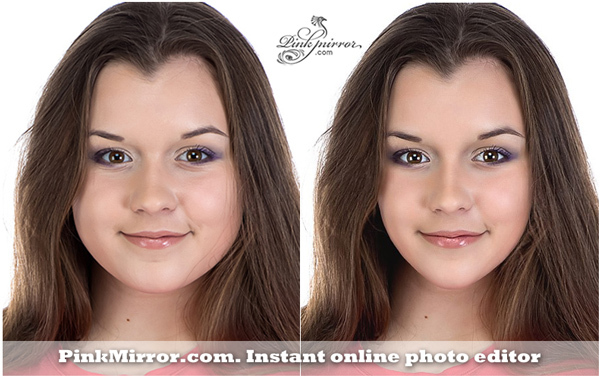 All of PinkMirror’s features will give you a brilliant photo retouch. 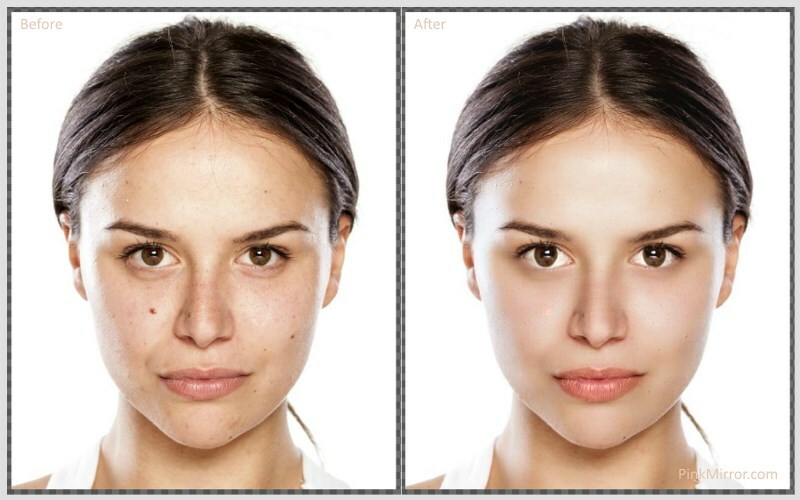 Just look how much more vibrant and happy the girl in the photo above looks with a quick makeover. 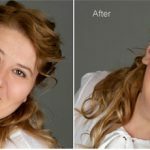 Whether it’s to boost your confidence, or just to iron out a few unwanted flaws, we all have our reasons for wanting to edit your photos. 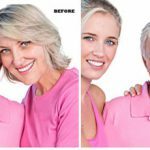 As you have seen, PinkMirror’s photo retouching services can give you everything you’re after and more. 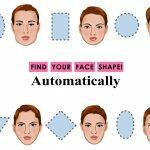 You deserve to look your best whenever you want – whether it’s on one of the most Important days of your life, or just for a confidence-boosting profile picture. Now, you don’t have to worry about snapping that perfect photo on the day, as you can just sort it afterwards. It’s really easy to get started with PinkMirror. The program Is free to try and requires no registration or Installation. 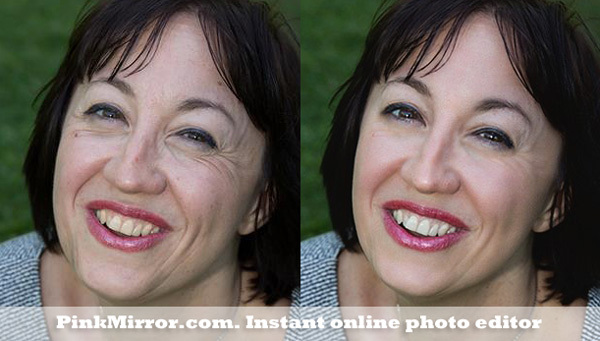 Simply upload your Images to PinkMirror, and give yourself a fantastic online makeover.